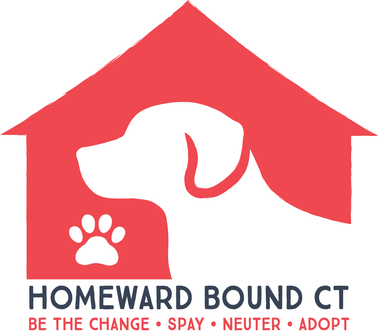 THE FOLLOWING DOGS ARE BEING FOSTERED IN CONNECTICUT. Please contact us directly if you have an interest in any of these wonderful dogs, and we''ll connect you with the rescues. When filling out an application, please be sure to list veterinary information and phone numbers (even past veterinarians if you don't currently have an animal), and non related references with phone numbers or emails. Please notify your veterinarian and references that we will be contacting them. If we can not contact your references your application will be considered incomplete. HOW I CAME TO THE SHELTER: Hazel was a throw away mama, eventually picked up by Animal Control. THINGS I LIKE AND DISLIKE: Hazel loves car rides, snuggling, and giving great kisses....she absolutely loves people. Hazel is a wonderful dog, and we would like to see her go home with an experienced adopter. HEALTH ISSUES: Hazel has some dry eye and requires medication. RESCUE: Halfway Home Rescue Inc.
HOW I CAME TO THE SHELTER: Scooter came to our shelter by way of our friends at Peach County Animal Rescue in Georgia. Before that, Scooter was picked up by animal control in a rough area of Macon, Georgia where children were screaming and throwing rocks at him. THINGS I LIKE AND DISLIKE: Scooter is incredibly smart. He is a quick learner and is very loyal to those he trusts. Because of his abusive past, Scooter needs an adult home that will be sure he gets plenty of positive reinforcement, training, and exercise. Scooter would be a fantastic running and/or hiking partner. He plays well with other dogs at our shelter and could learn a lot from a well balanced canine companion. Scooter has had professional training and is doing beautifully. He is still attending classes and has really blossomed into a fabulous dog- for the right home that will continue training and working him. Scooter LOVES having a job! HEALTH: Scooter is neutered; vaccinated for rabies, distemper, and bordetella; and microchipped with a lifetime registration. He tested negative for heart worm and tick borne diseases and is current on flea/tick and heart worm prevention. HOW I CAME TO THE SHELTER: Stevie was dumped at a local pound with her eye injured and ready to rupture. THINGS I LIKE AND DISLIKE: Despite Stevie's past, she's a very loving and friendly dog. She doesn't care for other dogs in her face, most likely due to her loss of eyesight. Because of that she would be best as an only dog. HEALTH ISSUES: Stevie's eye was unable to be repaired, so it was removed. She does need eye drops in her right eye 3 times a day.